Two days in the heart of Tuscany, where Francesca and Max celebrated their love with their family and friends. Highlight, their gorgeous wedding, in one of the most breathtaking venues of Italy. Tuscany is one of our favorite destinations, we love it every time more and for us, as well for Francesca and Max, is a place of peacefulness and tranquility. No better way to introduce everyone to the beauty of Tuscany, than a rustic and chill, BBQ welcome party at Borgo di Castelvecchio. 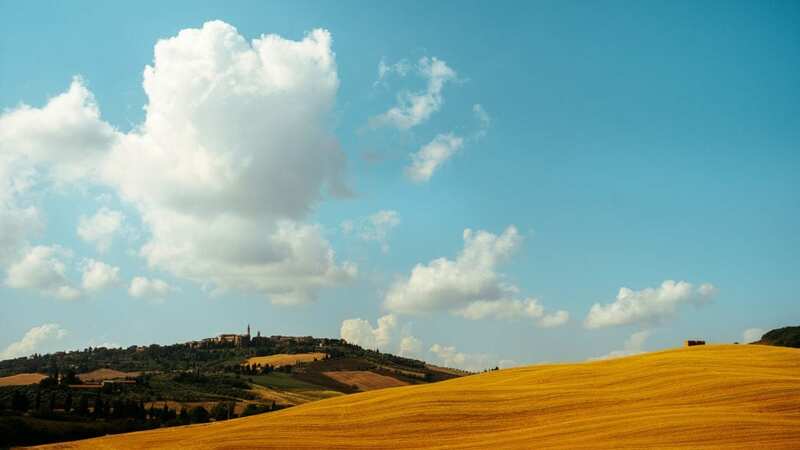 Overlooking the Val d’Orcia, facing Pienza, very close to Montalcino and Montepulciano, Borgo di Castelvecchio was the ideal setting for everyone to mingle, enjoy the marvelous wine and get more excited for the big day that would follow. 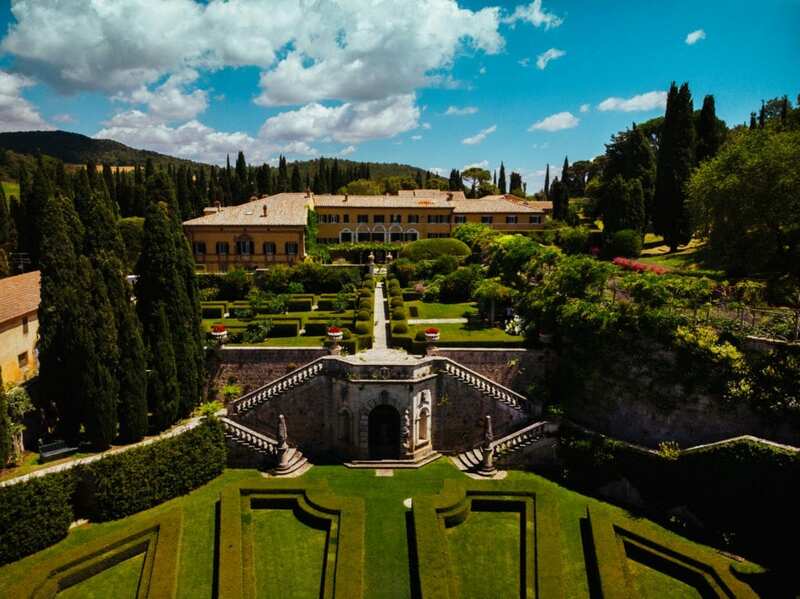 The wedding day started with everyone getting ready at the magnificent La Foce, which would also be today’s venue. Villa La Foce is an Italian Historic House and its gardens are world-famous. It lies on the hills over Val d’Orcia, a beautiful and miraculously intact valley in Southern Tuscany. Midway between Florence and Rome, it is also within easy reach of medieval gems such as Pienza, Montepulciano, Monticchiello and Montalcino. The wedding ceremony took place in Pienza, in the cathedral of the main square. As we were arriving we could see the weather getting worse and only minutes before Francesca arrived a heavy rain started, making everyone anxious. Overcoming everything and with a huge smile, Francesca made her entrance and their lovely ceremony started, to finish with the sun shining and their beautiful exit. We headed back to La Foce, where at the beautiful garden, everyone enjoyed their cocktails and Prosecco’s, with the gentle sounds of the saxophone by The SaxMan, as the sun was setting behind the hills. The candlelit dinner was amazing, with beautiful flowers and details, that created a warm and elegant atmosphere. Once DJ Jayli from HedKandi, with The SaxMan and their crazy drummer started playing, the party begun and everyone danced the night away celebrating for Francesca and Max. Always a pleasure to work with the talented and passionate Jules Bower in photography and kudos to Sabrina, for planning everything in perfection. Can’t thank Francesca and Max enough, not only for trusting us to capture such a special moment in their lives, but for letting us get to know how warm and sweet people they are. We wish you nothing but the best for your life together, keep holding hands and never let go.